Nitty Scott may be a relatively new name to some readers, however she's quickly carving her own lane with her conscious-minded hip-hop and New York sound.. I hate to compare artists, but if I had to compare Scott to anyone it would likely be hip-hop vet MC Lyte. Hailing from Michigan and, the New York transplant made presence felt on the internet with her 6th Sense produced single "Here I Am". Shortly after it became fairly clear the world would surely hear more from the promising 20-year-old rapper. Today Scott released "Flower Child" , track taken from her upcoming project The Boom Box Diaries Vol. 1 backed by the incredible talents of Kendrick Lamar. Although Kendrick doesn't offer up a wealth of bars on the track, the West Coast rapper nevertheless makes his presence felt. With a song like "Flower Child" listeners shouldn't expect anything less than a . What you wouldn't expect is how well Nitty Scott makes shines on the track alongside a heavyweight like Lamar. While your average rapper would've taken the Paul Boogie produced beat for a blunt cruise or let their voice soften with it but not Nitty. Instead she effortlessly impart a raw lyrical delivery and flow that ultimately meshed well with the track's mellow production.Kendrick's bars are actually pretty soft but again it's hard to complain with all the hits Kendrick has been churning lately. 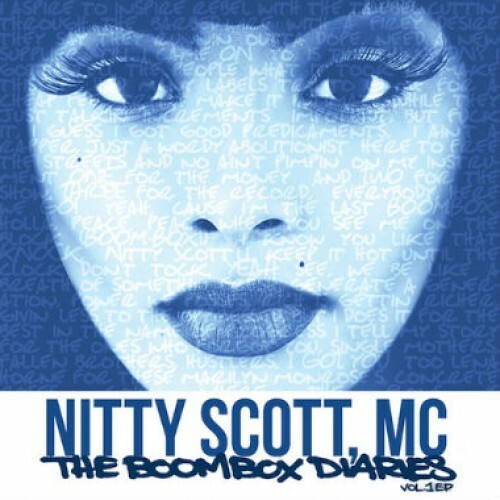 Check out the upcoming emcee's first offering from her soon to be released project, Nitty Scott's EP, The Boombox Diaries Vol. 1 is due out on August 28.